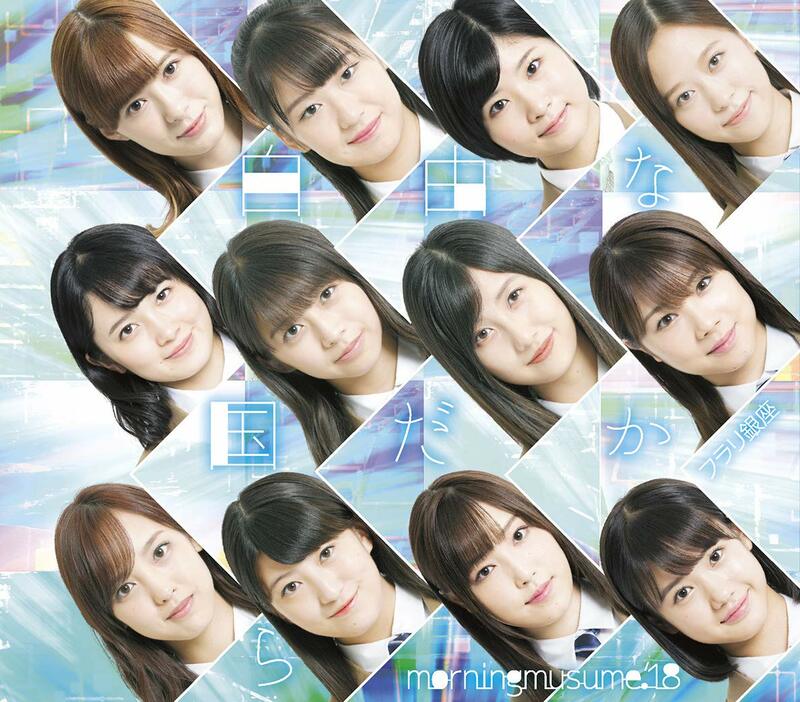 66 is the number for Morning Musume ’18, as in their latest single “Furari Ginza”. 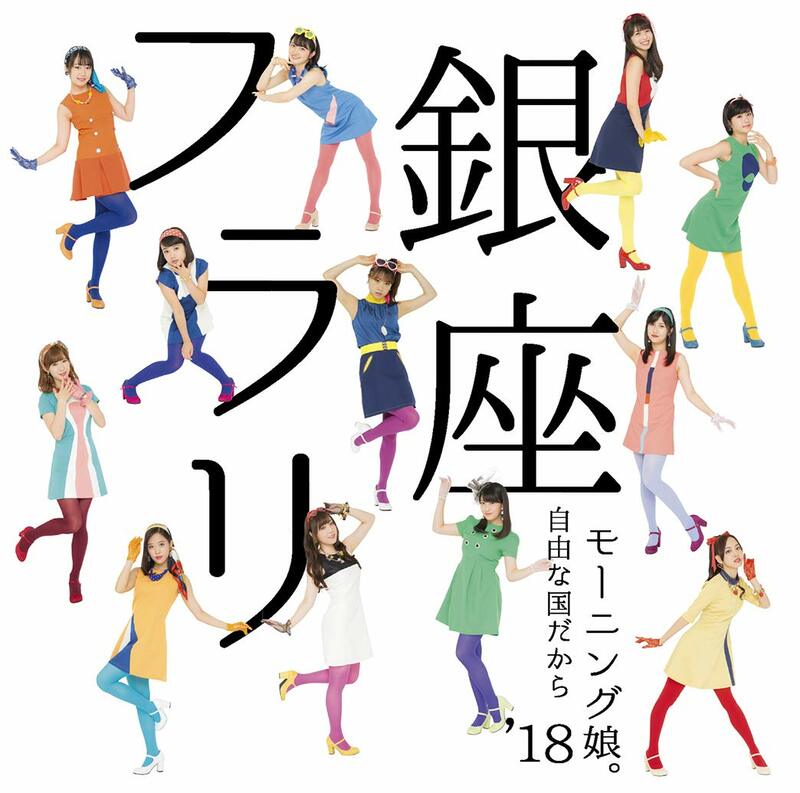 Dressed in colorful leggins and even more colorful A-line mini-skirt dresses, Fukumura Mizuki’s set of gals play a fashionable 19960’s inspired skit of young, bold love around the luxurious Ginza district. 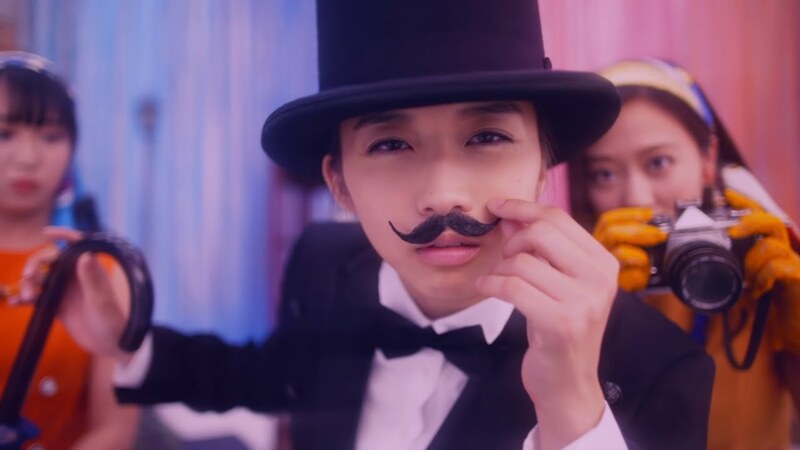 With 12th generation member Makino Maria and 13th generation’s Kaga Kaede play mustachioed and top hatted boy parts, you could say that “Furari Ginza” has a little bit of “Mr. Moonlight” in it. 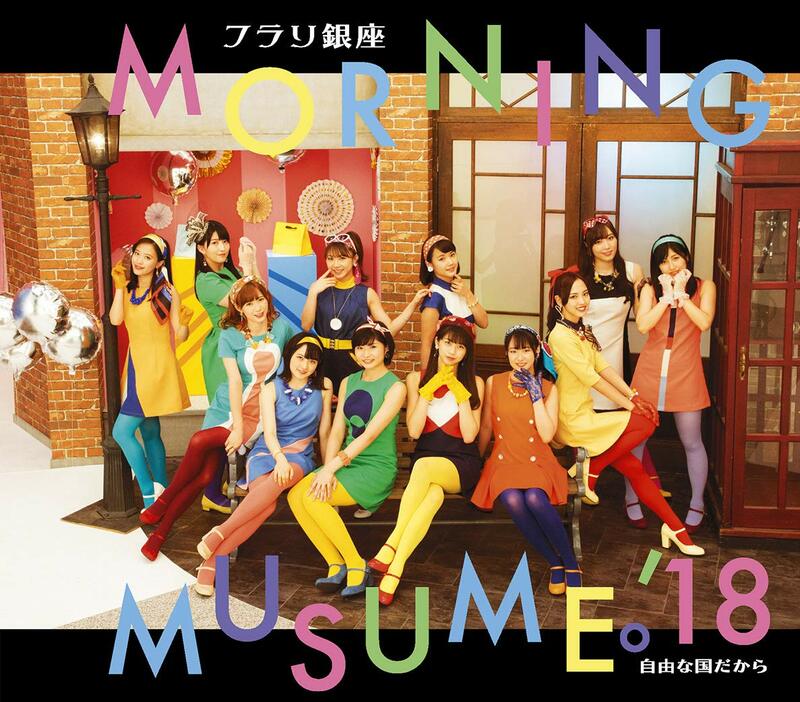 To me, this latest single PV contains enough playful bits of the girls mugging for the camera and enough choreography pop from the colorful outfits to make it a fun watch. 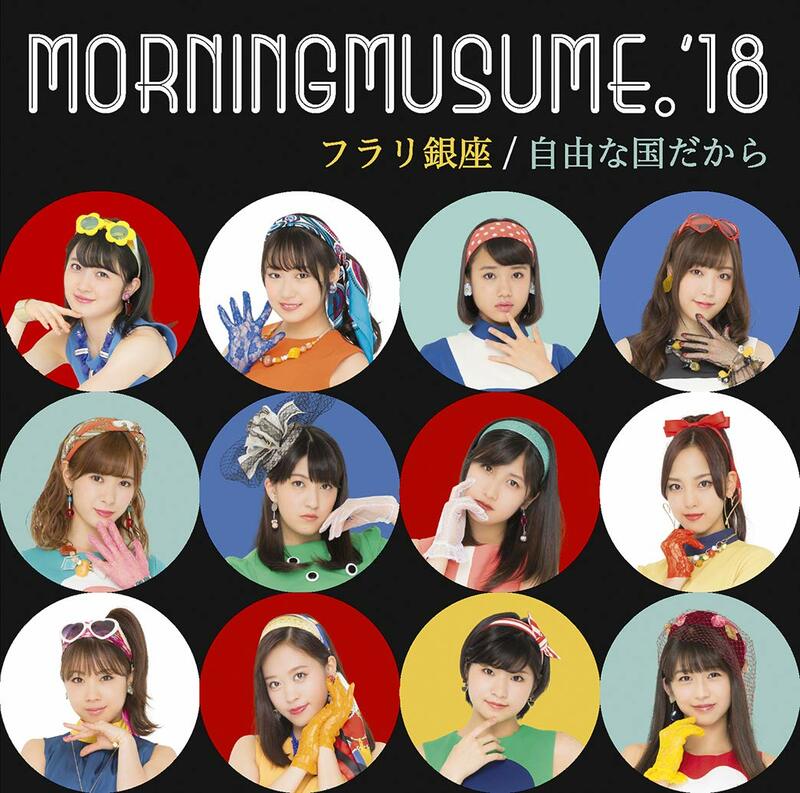 “Furari Ginza” is the lead A-side from Morning Musume ’18 ‘s “Furari Ginza / Jiyu na Kuni dakara”, out on October 24, 2018. 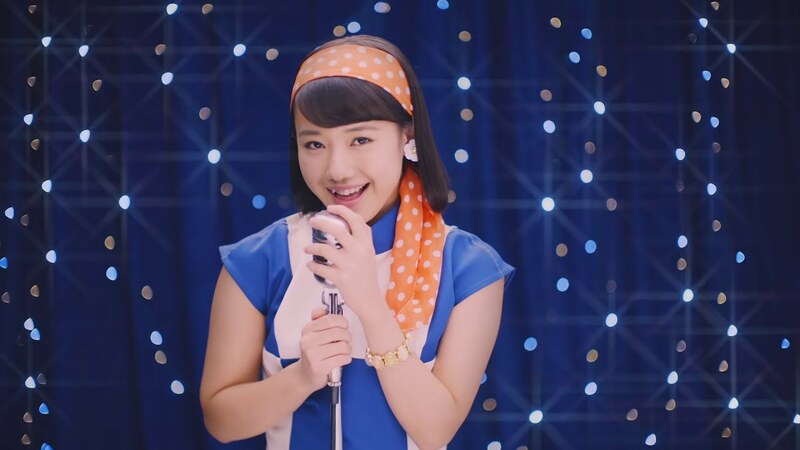 Previous New PV Alert: College Cosmos – I Want to Filter the Water of Words.